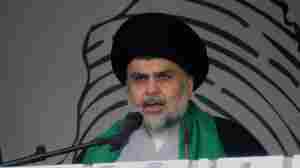 May 14, 2018  The major winner could be an alliance linked to Shiite cleric Muqtada al-Sadr, known for leading attacks on U.S. troops after the invasion of Iraq, while Prime Minister Haider al-Abadi loses support. May 11, 2018  Parliamentary elections this weekend will be the most complicated in Iraq's post-war history. Many people say they won't vote. "I voted three times, but nothing changed," says an unemployed man. 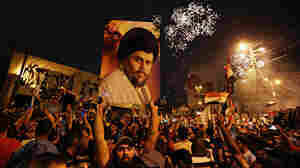 May 2, 2016  In the years after the 2003 U.S. invasion, the radical cleric Muqtada al-Sadr emerged as a powerful anti-government force. Now he's reinvented himself. What role will he play in Iraq's future? 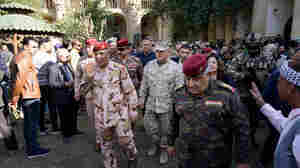 Who Are The Demonstrators Who Stormed Iraq's Green Zone And Parliament? 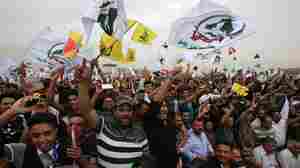 May 1, 2016  The demonstrators are mostly supporters of fiery Shiite cleric Muqtada al-Sadr, who has had a fraught relationship with the U.S. 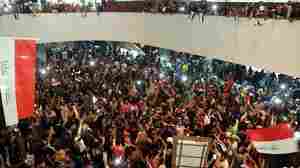 They're calling for the government to follow through on its promises. 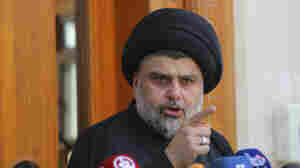 January 5, 2011  He led several Shiite uprisings against American forces in Iraq before leaving for Iran. 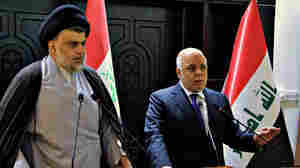 Now, his movement is part of Iraq's new government.